I have created many different and unique projects for many different occasions, if you have a specific idea or project in mind, email me and we can set up a time to talk about what it is your looking for. 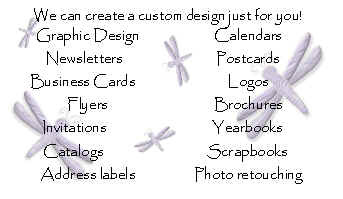 My recent projects have been creating a school yearbook for the past two years, website graphics, various flyers, calendars, and I love to design scrapbook pages for myself as well as other. If there is something I can help you could with just drop me an email or give me a call. All the graphics used in this website were created by Laurie De Petro-Medesha and are protected by copyright laws. 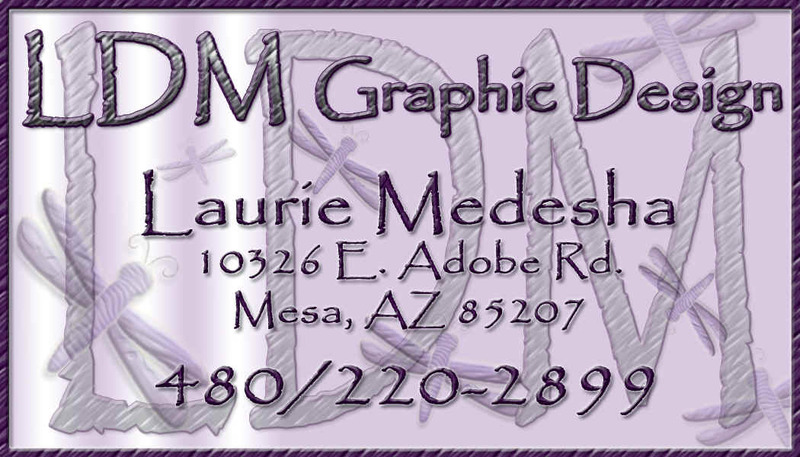 Please obtain prior approval from the webmistress to use any of these graphics for any use. Thank you.